The ability to accept credit cards online is vital to every ecommerce business and online retailer. While vital, it’s not very clear how to get an online merchant account that gives you the tools you need while keeping fees at a low rate. With literally thousands of credit card processors hoping to earn your business, how do you make an educated decision on which third party processor is right for you? We are going to take a detailed look at exactly what makes a great online credit card processor and how you can find the right one to best fit your business type. Understanding how Credit Card Processing can work for you! There are a few things that are different from a traditional merchant account when you’re looking to accept credit card payments online. It’s these subtle nuances that determine whether the merchant account you’re considering is going to be the perfect fit. Your goal as a merchant is simple. You want to give your patrons as many payment options as possible and pay the minimum in fees possible. Since most customers can’t just walk in and give you their bank account information for a payment, having as many payment options as possible is always good for business. Every online merchant account must have some type of payment gateway. The most commonly available payment gateways are currently Authorize.net and SecureNet. Other gateway providers are USA e-pay, Bridge pay and Vital. A payment gateway is a service provided for brick and mortar stores that allows them to process payments online. Your merchant account for your brick and mortar business has a merchant account that is setup to run payments at a point of sale. This setup is designed to process payments when both the card and purchaser are present for the transaction. In the online store space, transactions happen differently than at the point of sale in a retail store. Online, customers key in their credit card number using a keyboard, and there’s no physical point of sale to prove that their card is present or capture a signature during the transaction. Instead, pos software replaces the physical point of sale, and transactions happen without any human interaction. This difference is what makes the payment gateway necessary. The payment gateway is designed to function in the place of the terminal as a sort of “software terminal” to run the transaction for the business. The gateway accepts the payment information and checks it for validity within seconds of the time the purchase button is clicked. Gateway fees are charges created by the company providing the gateway to make sure they get a cut of the profit. On a traditional merchant account, all of the businesses taking part of the transaction would take a fraction of a percentage of the processing amount to make up their cut. Gateway providers get their portion of the transaction by charging gateway fees every month you have a gateway set up through them. It doesn’t matter how much you use the gateway during the month, so there are no limits on gateway use. A common fee you might see from a gateway provider would be a $5 gateway fee per month on your account as well as a $.05 per transaction fee for each purchase made using the gateway. These fees happen outside of your merchant account provider but will show up on your monthly bill. What does it mean when a payment gateway is agnostic? Some payment gateways are agnostic, which means that they can work with any bank. Many processors will create their own payment gateway that aren’t agnostic, further locking you into using them as your processor. There are many tricks of the trade in the credit card payment processing company space, and locking customers in to long term contracts and using other hidden complexities has long been the practice. When you’re looking at a payment gateway, you want one that is agnostic rather than one that will only work with your current processor. When you decide that you want to leave your current online credit card processors for greener pastures, a locked payment gateway makes the process incredibly more difficult. You might find that your internet business could be down for multiple days or even weeks when you learn that your online payment gateway can’t come with you to another processor. Does my Point of Sale system need to be agnostic as well? Systems like Mynt and Paradise are agnostic, meaning that they can use almost any gateway to process payments. Many other POS systems are not agnostic, and you can only use them with the payment gateway for a certain processor. POS systems like Clover, Shopify payments, Shopkeep, Square and others are built to only process payments within their company architecture, and if you ever decide to leave you will have an expensive POS system that you can’t use anywhere else. A virtual terminal is a software terminal that allows a business to run transactions using software on a computer, tablet or phone. 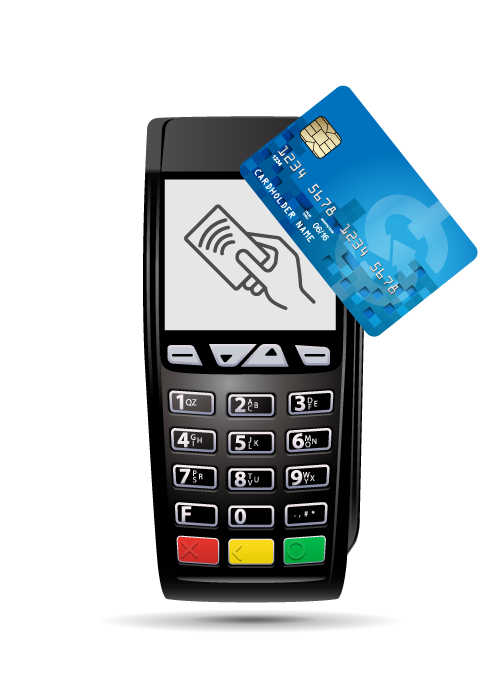 This allows businesses of all sizes to accept a credit card over the phone or run a transaction when the magstripe on a credit card doesn’t want to cooperate. One of the biggest advantages of a virtual terminal is that it provides the business with the opportunity to set up recurring payments. Recurring billing makes it so that you can just collect the credit card information one time and continue to charge their card every month until they cancel their service. This is something that traditional terminals can’t accomplish. You will need a virtual terminal to enable recurring billing for your business. A virtual terminal stores the credit card number and associated information in a secure way with military grade encryption. By storing only the last 4 digits of the credit card on the virtual terminal, it keeps credit cards secure while allowing scheduled monthly and as needed transactions. 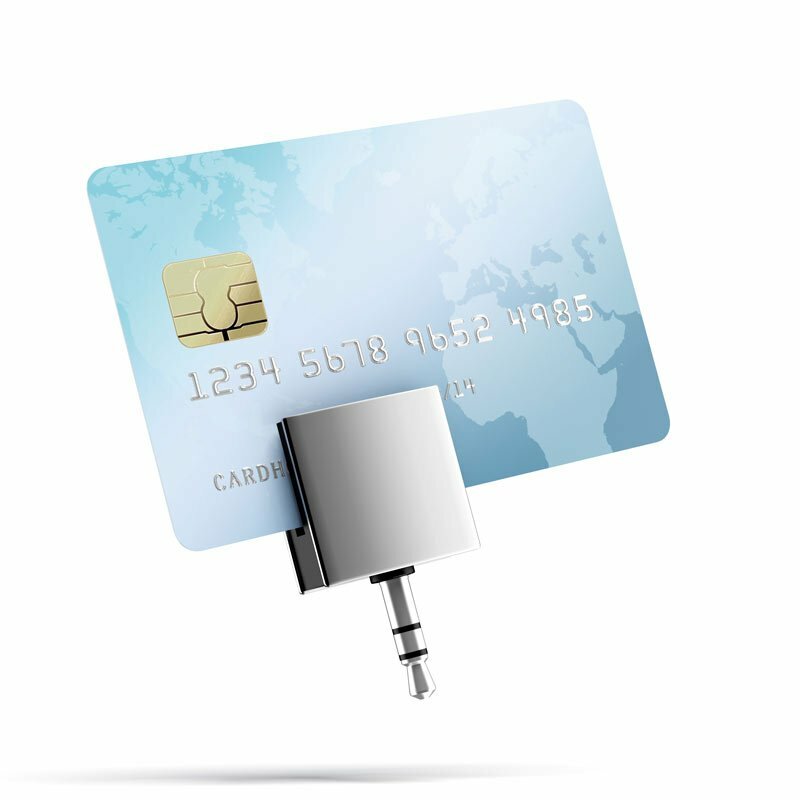 The whole credit card number and authorization information is stored through the processor with military grade encryption. Virtual terminals also have the added ability to connect to readers in the field. 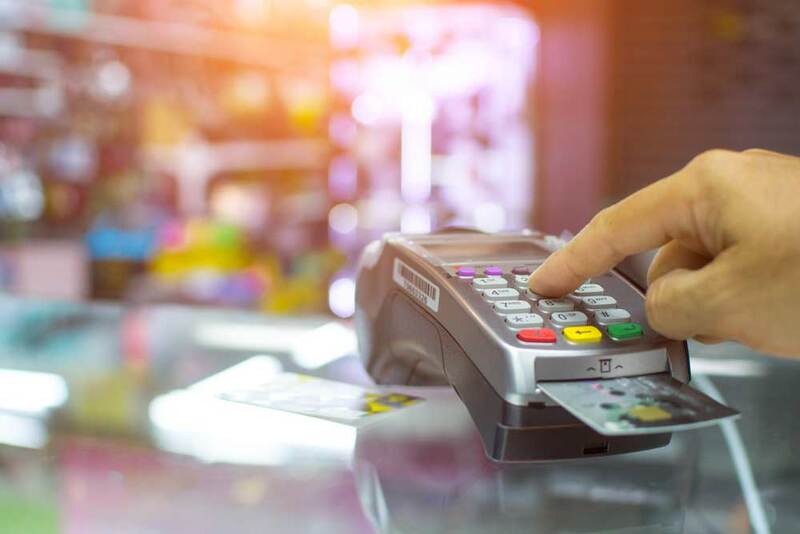 A fleet of credit card readers can be out with staff doing work and swiping cards that will send all transactions back to the virtual terminal for authorization. Imagine a heating and air company, with 10 repair people in the field each day. With a virtual terminal and mobile readers to swipe cards in the field, there doesn’t need to be anyone back at the office taking credit card numbers by phone. A virtual terminal and mobile readers allows a business to be as mobile as they need to be while still having a complete and accurate reporting process for each transaction in a central software program. Want to save this entire guide for later? Mobile payments have been on the rise in recent years with the birth of Apple Pay, Samsung Pay, Google Wallet, Amazon payment and Paypal Mobile. These mobile credit card processing platforms focus on making a payment using a mobile device rather than pulling out a credit card. The reason that these mobile processing solutions have become so prevalent in the market is because they use the equivalent of a mobile app to make payments. There’s no remembering your wallet or searching through a purse or a bag to find a card. 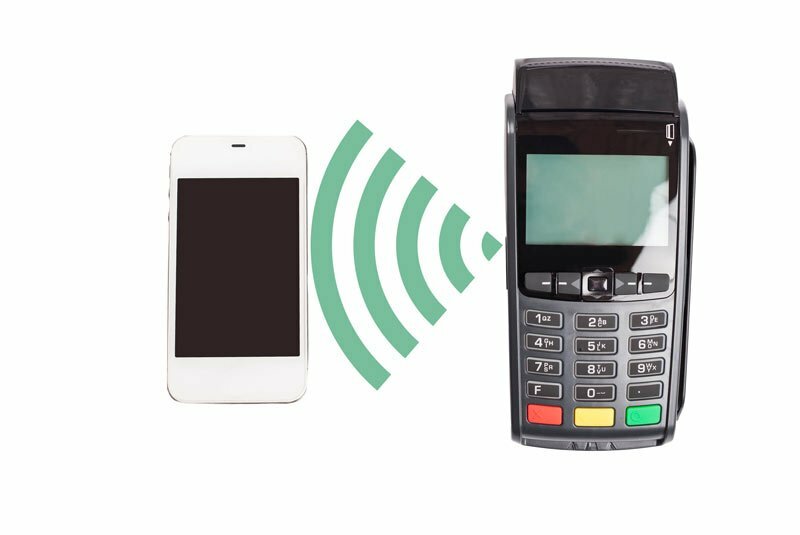 It’s as simple as a tap of the phone to an NFC card reader. What does this have to do with accepting credit cards online when mobile credit card readers don’t matter? Businesses like Paypal were birthed out of the online space, and Apple, Google and Samsung see the huge opportunity for profit in this new market. For your online business, the day is soon coming where accepting payment methods like Visa, Mastercard, Discover and American Express won’t be enough payment options for your diverse customer base. Multiple payment options is what the customers of today expect at the point of sale. The credit card terminals of the online space have gotten much more complex in recent years. Every online business is going to need the ability to accept credit cards through their website. In order to accept credit cards through a website, the payment processor must be able to integrate into the website in order to take credit card payments. Most shopping cart frameworks are built to integrate into the leading website platforms. Most websites are created within software platforms like Wordpress, Ruby on Rails or Drupal, which have plugin integrations allowing a payment processor to connect to a website. 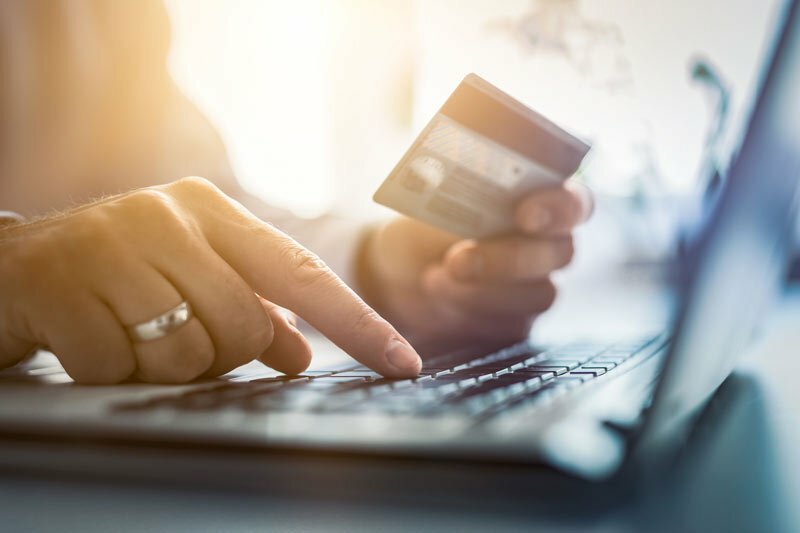 Accepting payments online doesn’t have to be a lengthy or difficult process, but many business owners have difficulty when it comes to integrating their selected payment processor with their site. Wordpress has been a staple of the business world and is one of the easiest platforms to integrate with. Plugins like WooCommerce have multiple options for integrating your hosted payment solution. Third party plugins like the one from Authorize.net also make it easy to bring over your payment gateway. Each website must be approved in order to accept payments online. Each site must go through a checklist of the different elements that are required in order for a site to be approved for online payments. For a website to be approved, the site must have to have a return policy and terms and conditions page. Here at Shift Processing, we have an ecommerce checklist for our merchants to walk them through all of the elements that must be present before they will be approved. If you would like to download a copy of the Shift Processing ecommerce checklist, it’s available for download at no cost. When a new merchant signs up with us for an online merchant account, we provide the company with a data sheet that has the information needed for a business to integrate payments with their website payment depots. 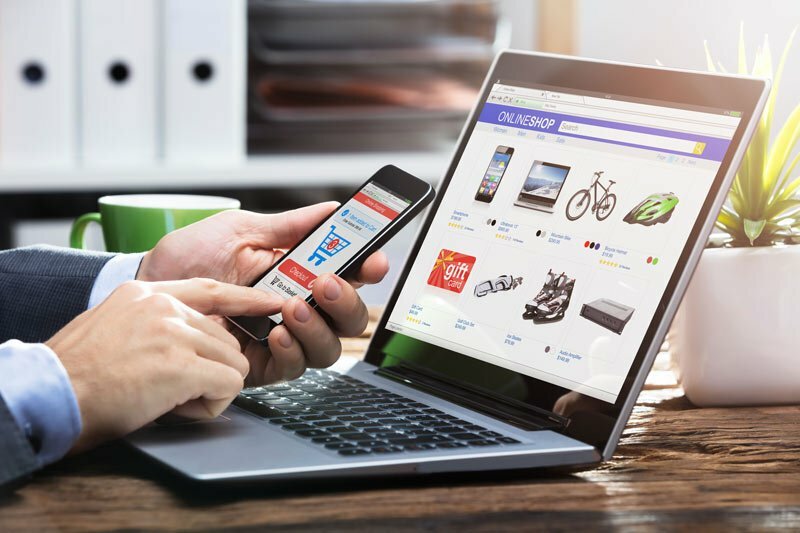 Most major credit card providers will have something of the like, but in our case, we also have an ecommerce department ready to help business owners get set up and running transactions. Online transactions account for more than 90% of all fraudulent transactions worldwide. Even though the industry just went through a major overhaul in the United States with the EMV chip card, most fraud happens online. Global payment processes has seen a massive change in security measures for a small bump in security success. The EMV terminal was brought about to make sure that the card was present in each transaction, but online the card can’t be present, so fraud is still rampant. Chip cards actually reduced fraud on all credit card transactions by about 5%. With such a great cost to make the switch to EMV terminals for all points of sale, it’s a very small reduction in fraud for such a massive system upgrade. There are ways that you can protect yourself if you’re primarily taking payments online. The best way to protect your business is to get as much information as you can from the customer. Getting even a copy of their driver's license is recommended for transactions over $2,000. Another way to protect your business is to only ship to the billing address and not allow separate shipping addresses. In many cases of fraud, a card will be stolen, the original billing address is added via the stolen driver’s license and the goods are shipped to another location. It’s understandable that certain businesses will want to allow their customers to ship to secondary addresses other than their billing address, but each time it’s done the risk is increased that one will end up in fraud. Fraud prevention should be a primary benefit from the merchant solutions company you’re looking to be processing credit cards with. When a customer decides to file a chargeback against their purchase with your business, it’s completely up to you to fight the chargeback. The chargeback system is set to automatically favor the purchaser, and if a business doesn’t fight a chargeback, the consumer wins and the business has to pay. Chargebacks are made much more difficult online because the data that you would usually show to prove a transaction isn’t available online. Stores can use security footage to show that you were in the store and show you walking out with a bag of goods. Online businesses don’t have the luxury of a video proving that a package was indeed dropped off at the front door. A signed purchase receipt is the primary way that businesses fight chargebacks for brick and mortar stores, and online there’s no signature required. Even complex payment forms won’t guarantee an online business chargeback wins. So, how do you set up your business to win chargebacks when they show up? Online retailers like Amazon have been fighting chargebacks and stated non-delivered packages for years, and they’re starting to implement new procedures to prove that their business has followed through with your order. 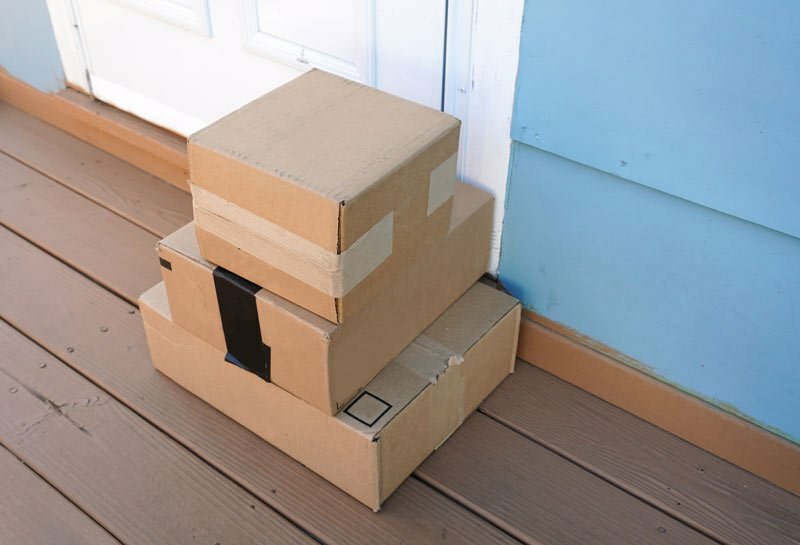 Amazon in many cases now have delivery drivers take a photo of the package on your doorstep. The photo is sent to you by Amazon to let you know that a package has arrived. Other online businesses have instituted a secondary confirmation layer for anyone who wants to ship to another location that’s not their billing address. For example, if one wanted to send a present to a family member’s house, the website would confirm the purchase by requiring that the consumer input a number that would be texted to their phone during the purchase. This secondary layer helps the online business prove that the purchaser did indeed purposely order and send it to a secondary location. Every time there’s an opportunity to make more money, you can guarantee that ach processing companies will take advantage of each opportunity. Credit card processing company fees aren’t just for traditional merchant accounts. Fees are present in online merchant accounts just like they are for brick and mortar businesses. To learn more about the different pricing models like interchangeplus pricing, membership pricing, partner programs and others, check out chapter 3 of our guide. Below is a list of the fees that you might find in your merchant services contract. This is the fee that pays the gateway company. Gateway companies make their money through the gateway fee and a per item charge. Authorize.net currently charges $5 per month and $.05 per transaction. The only way to avoid having a gateway fee with your online merchant account would be to use a zero fee processing solution that has zero fees. This fee is imposed by the Payment Card Industry Data Security Standards Council. It is paid to support oversight into data security policies within the card payment industry. The pci compliance fees can be minimal or highly marked up by the processor that you’re working with, so this is a fee to watch out for. A monthly minimum is a guarantee to the processor that your account will make a minimum amount of money each month. If your account doesn’t run enough transactions that month, monthly fees are imposed to ensure that there is enough money to keep the account in the positive. It’s best to find an online merchant account that has no monthly minimums. The statement fee is a fee charged to generate a statement for you every month. It can be a printed statement or a digital statement, but some merchant providers want to charge you monthly to receive a statement. Know that the statement fee is pure profit for any merchant account provider, and you shouldn’t ever have to pay it. The batch fee is a fee assigned to your account to cover the “batching out” process that happens at the end of every business day. Many processors would like you to think that there is a lot involved in batching out a business, but it’s a completely automated process. This is yet another pure profit fee created by merchant services companies to increase their profit. This is a fee that processors charge for reporting your business income to the IRS. Each processor has to file form 1099K for each business processing with them, so this fee covers that process annually. It has become an additional source of income for processors over the years, and is something you shouldn’t find in your merchant account agreement. This is simply a fee that the merchant account company charges you to set up your account. If you’re seeing this fee month after month, something is definitely wrong. Credit card processing companies want to keep you around, paying them money for the ability to accept business credit cards. If you leave and let another company do it for you, they don’t make any money off of you. This is where the termination fee originates. They’ll let you leave, but not before you pay them a hefty sum. Never sign a contract with termination or cancellation fees. An idea that someone in the back office of a credit card processor came up with, no doubt. This is a fee that is charged every year to your account to maximize online processing profitability. There’s inevitably some reason why they say they charge it, but it’s likely something surrounding investor relations and the global reach of financial institutions. In plain terms, these payments provides gift cards for the mobile wallet of the accounting software nerds. It’s complete gibberish. Not every merchant account provider is designed to work with every business. For example, there are credit card processors who don’t issue any account in the ecommerce space at all. There are merchant services companies that focus on small businesses and those that focus on large businesses. Other online payment processing companies focus on things like business credit management, business loans and merchant cash advances to draw you in. The key to choosing the right online merchant account provider is to find the provider that specializes in your type and size of business. The popular payment processor Stripe is known for working with very small or micro businesses. They can help even the smallest business accept credit cards and debit cards as payment, even when they’re only running 1 or 2 transactions per month. While Stripe is a great solution for smaller businesses, as the size of a business grows the solution isn’t necessarily right for the long term to increase cash flow. When a business is processing at least $5,000 per month, it’s time to find a merchant account that’s designed for growing business models. Until a business reaches the $5,000 per month threshold, it’s better for a business to use Stripe or Paypal credit card processing solution. Here at Shift Processing, we’ve designed our online merchant account program for businesses that have crossed the $5,000 per month mark. If that’s you, and you’d like to apply for a Shift Processing online merchant account, click here to get started. Accepting credit cards online doesn’t have to be a confusing process, and armed with the above knowledge you can negotiate a low cost solution for your business. With the many processing options available to your business, you deserve to work with the best solution for your type of business. Online Credit Card Processing: No Storefront, No Problem, right? High Risk Credit Card Processing: Can I accept domestic payments with no reserves? Download your free PDF of "The Complete Guide to Credit Card Processing". Just give us your email and we'll send it to you right away!